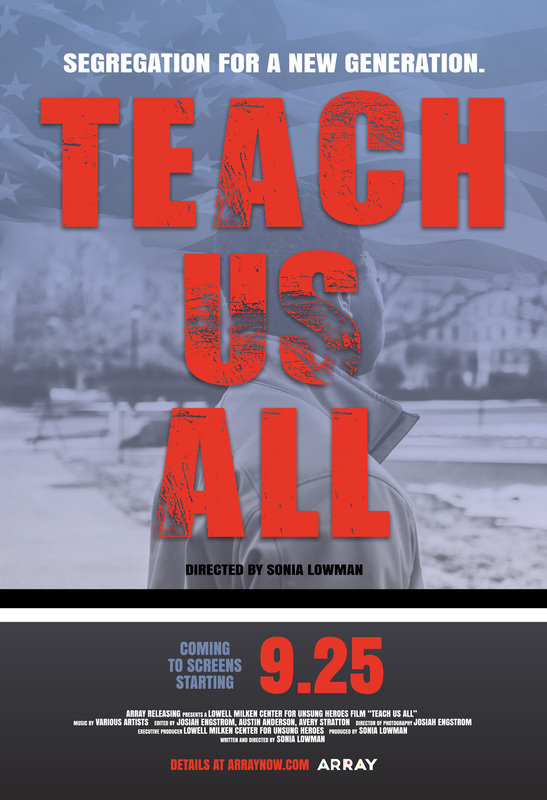 Marking the directorial debut from Sonia Lowman, the timely documentary TEACH US ALL examines the U.S. education system from the historic Little Rock Crisis to present day disparities in access that are culminating to a re-segregation of schools across the nation. On September 25, ARRAY will debut TEACH US ALL on Netflix accompanied by a national tour to coincide with the 60th anniversary of the Little Rock Nine’s momentous school integration. Learn ways you can be involved with the school integration and education equity movement as a student, parent, educator, or organization HERE.